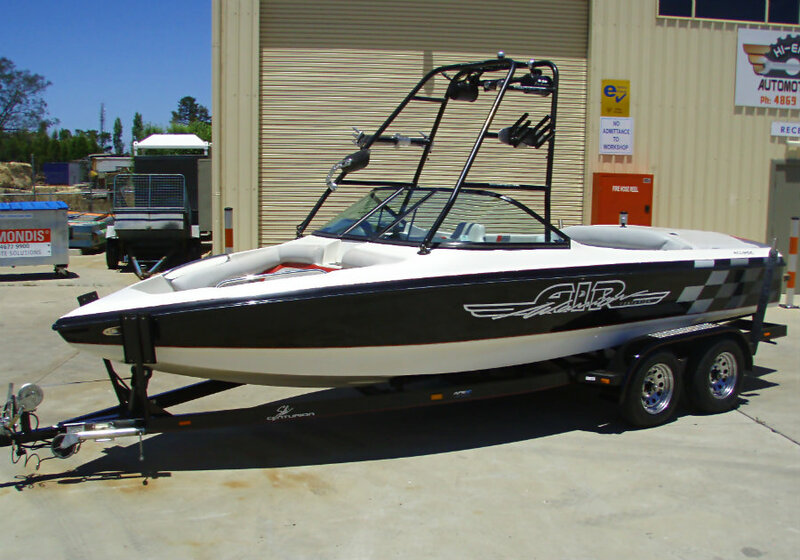 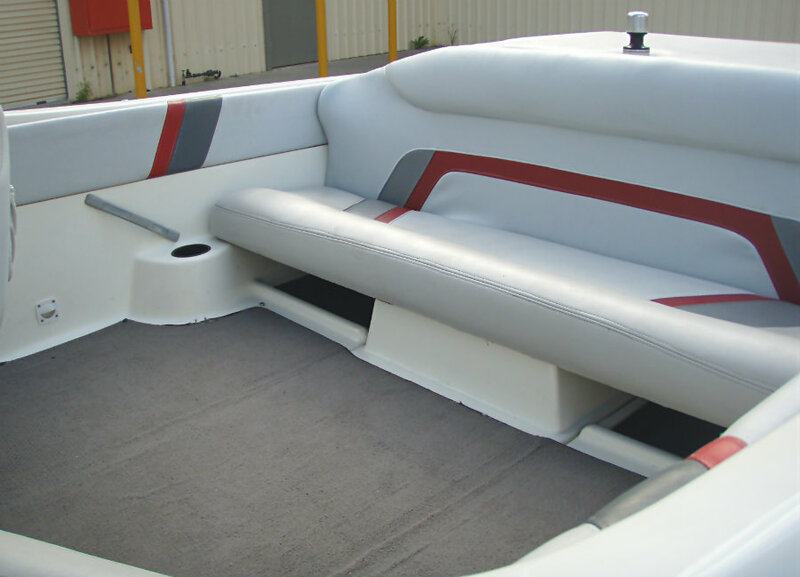 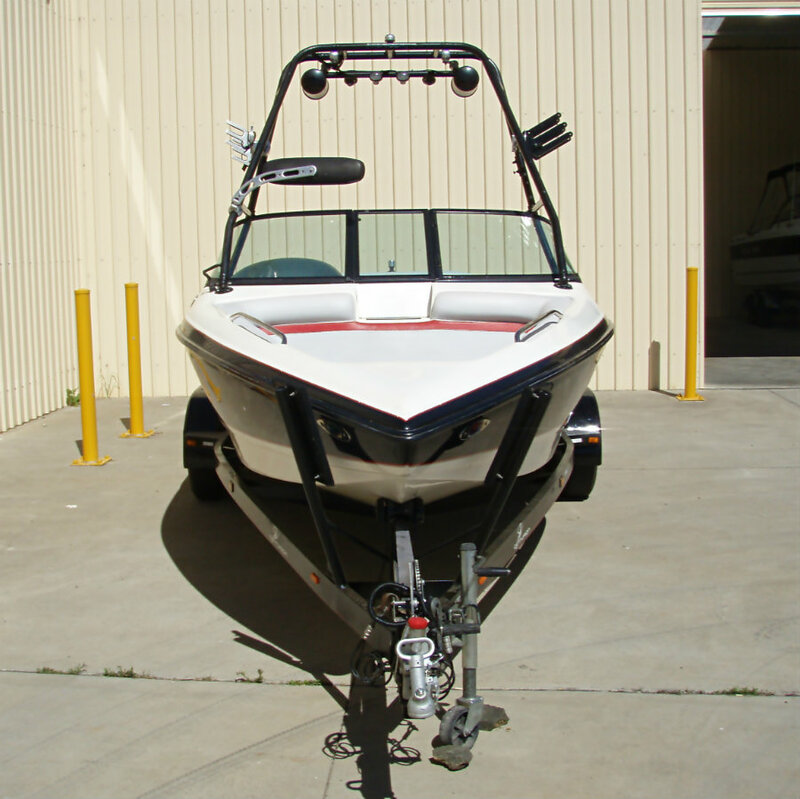 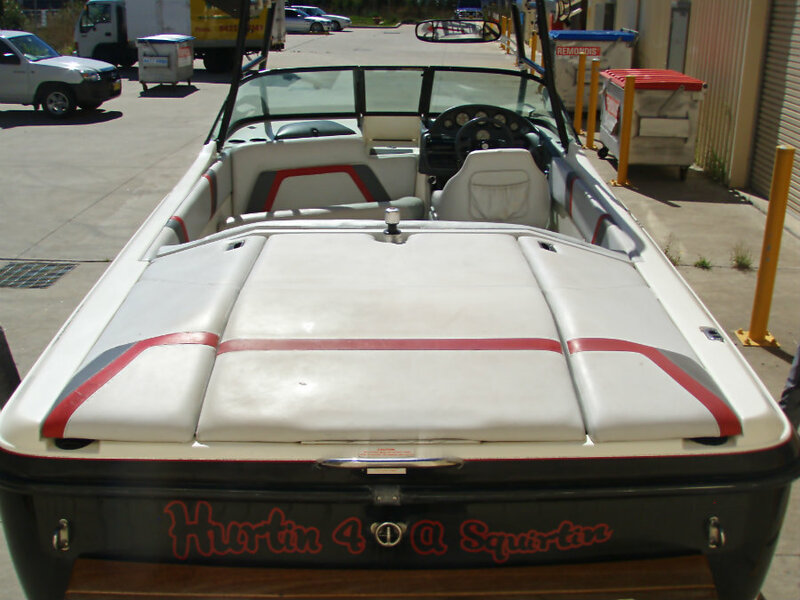 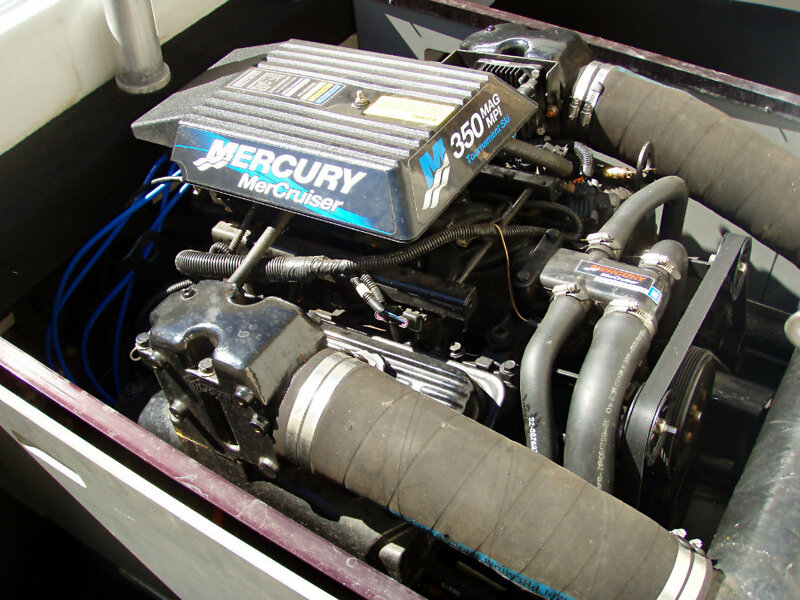 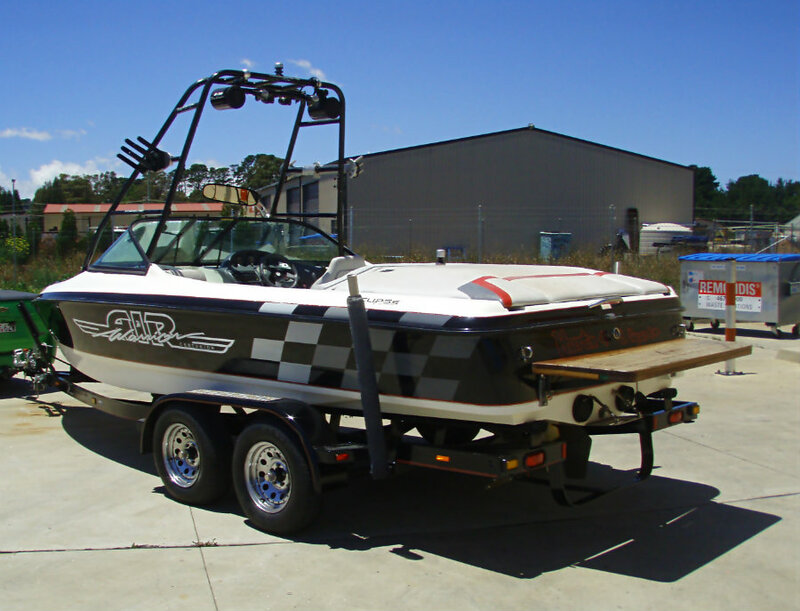 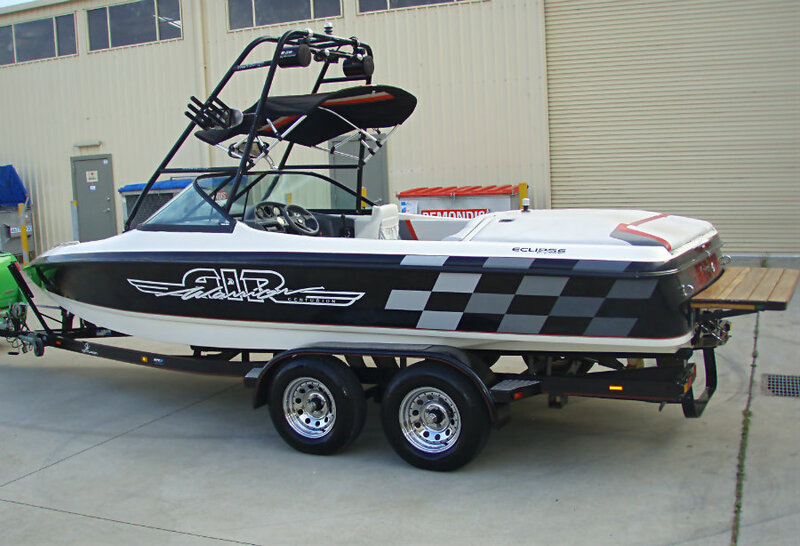 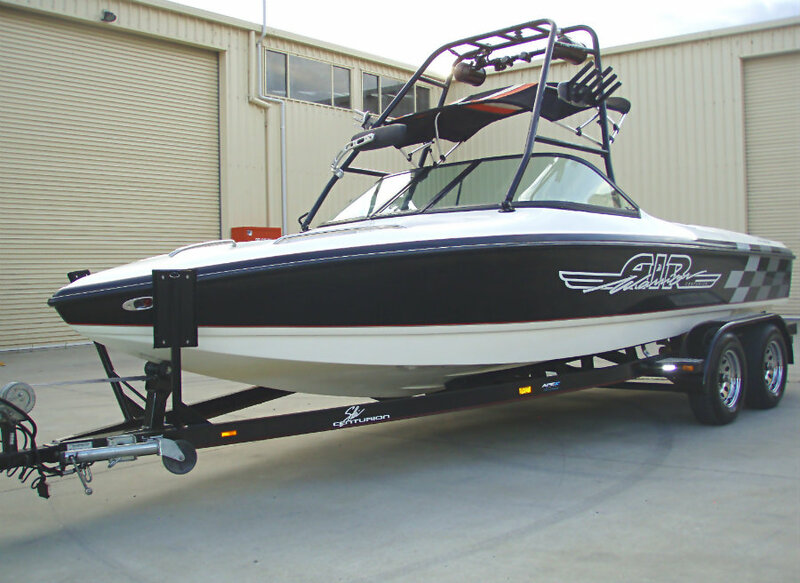 2001 Centurion Eclipse “Air Warrior” wakeboard boat powered by a 5.7L V8 315hp 350MAG MPI Mercruiser engine with V-drive and only 370 hours of FRESHWATER use. 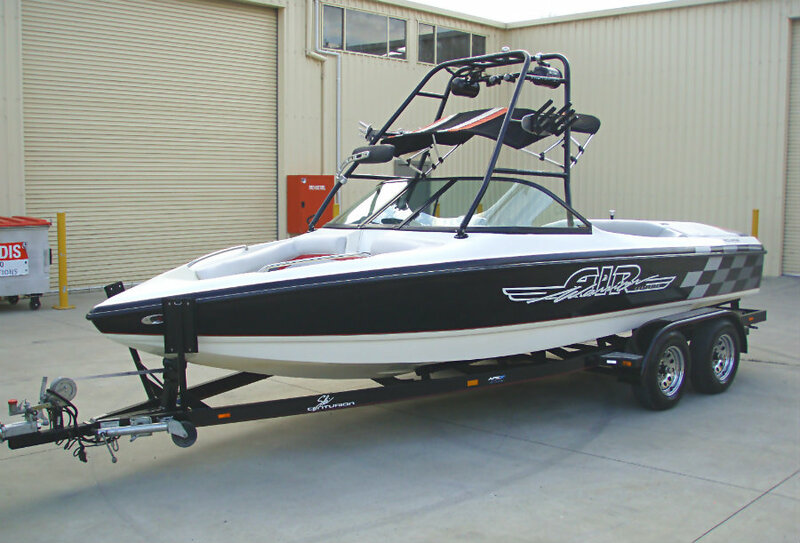 This Eclipse “Air Warrior” model is more aimed towards the wakeboarder because it is a V-drive, V-bottom boat that really throws a significant wake. 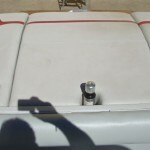 It’s not overly wide, so it penetrates the water pretty well. 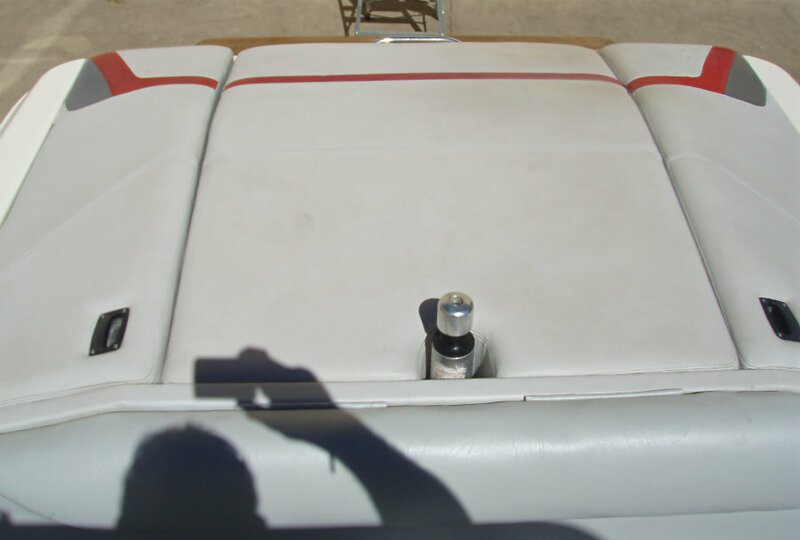 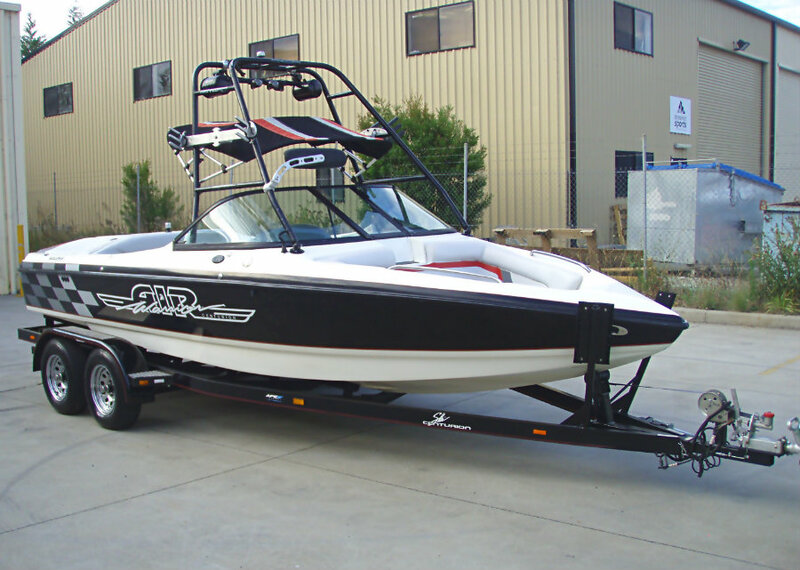 On one hand it’s a purist’s boat because of the way it handles and because of the wakes, but it is really pitched at the family who wants to wakeboard. 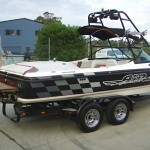 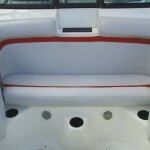 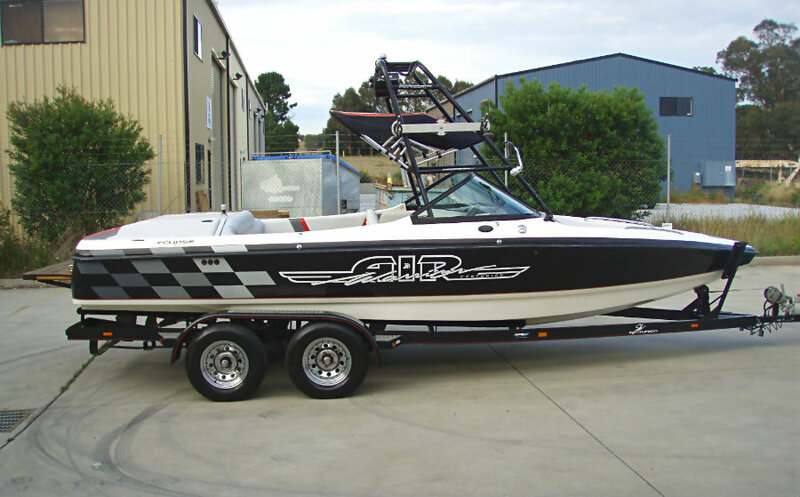 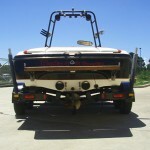 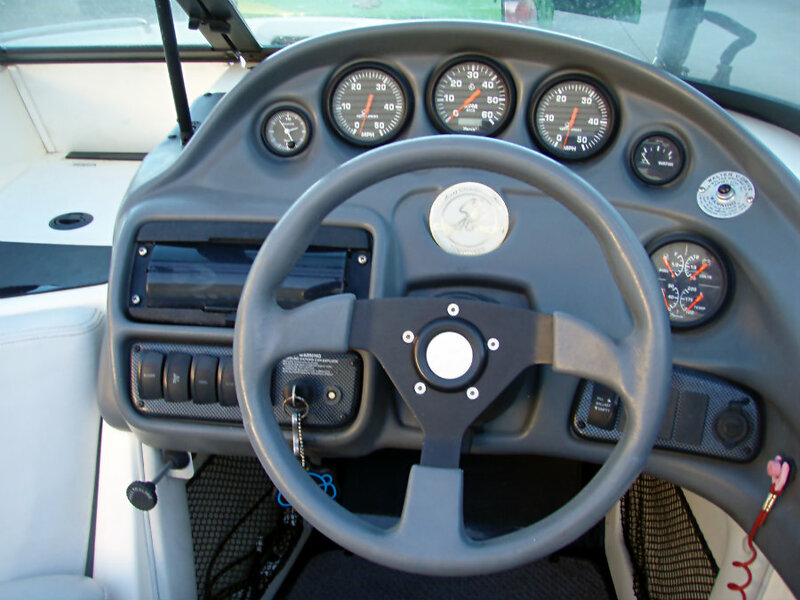 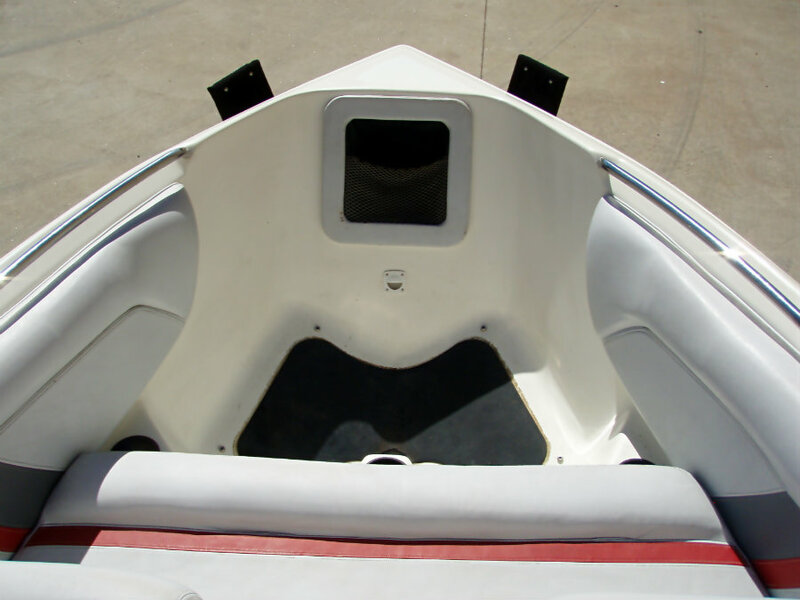 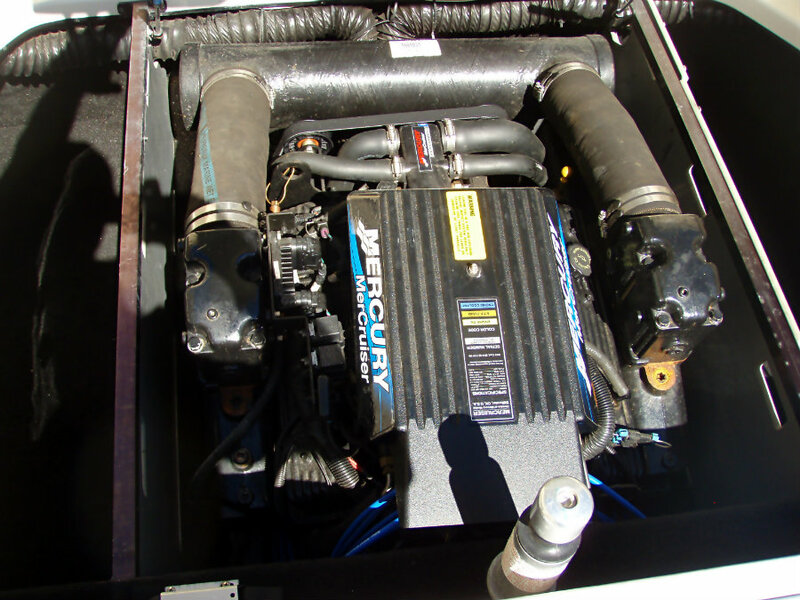 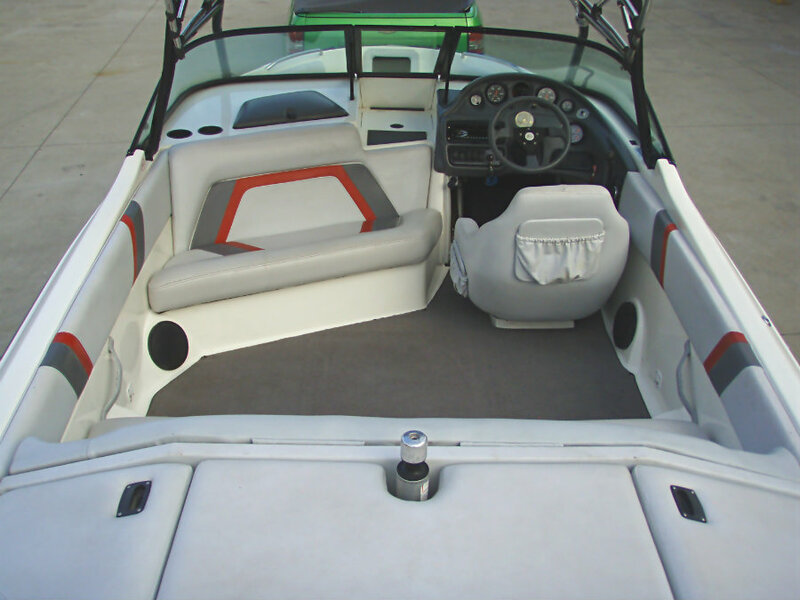 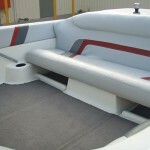 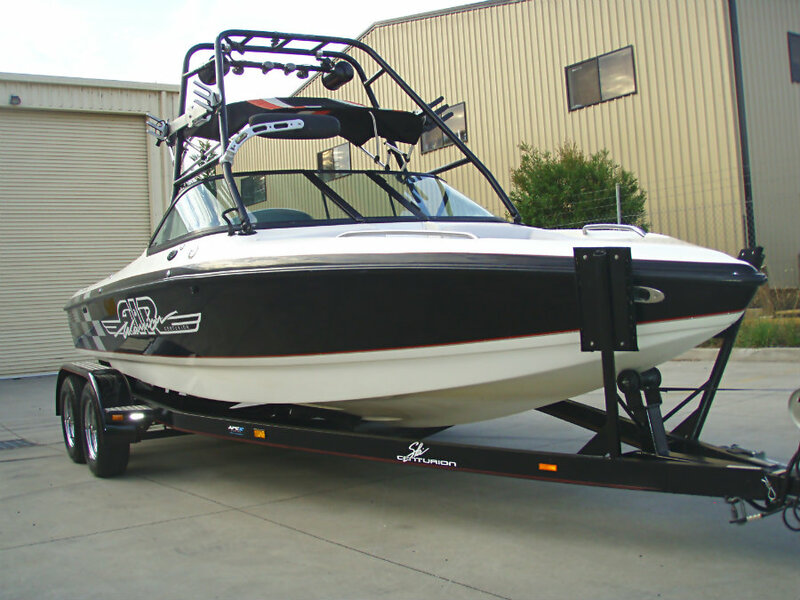 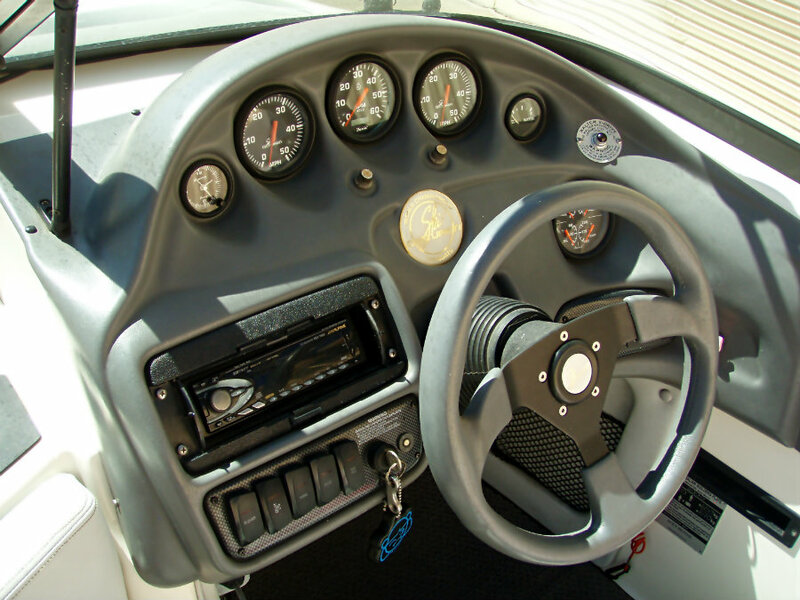 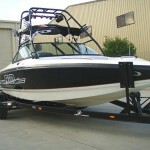 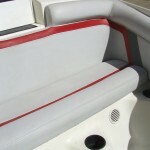 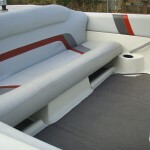 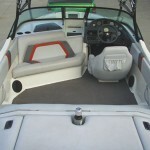 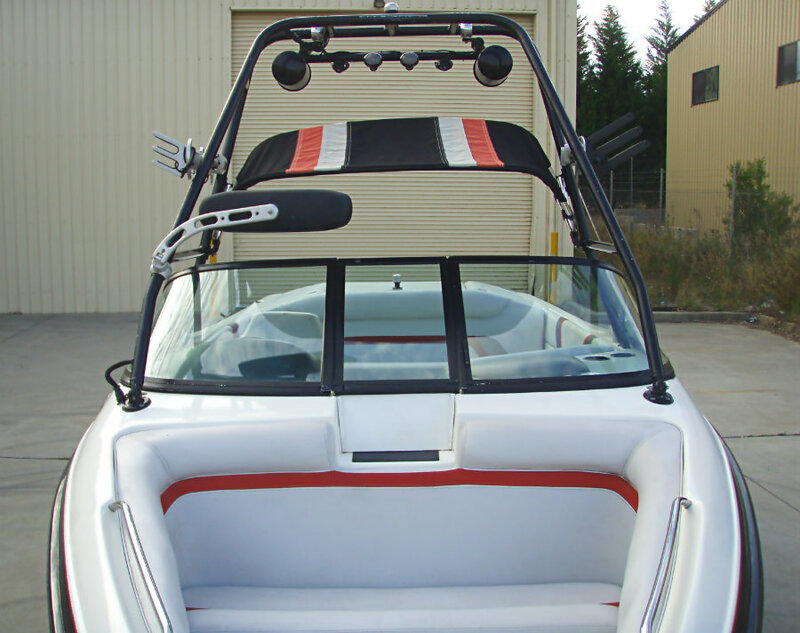 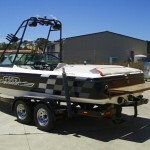 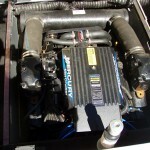 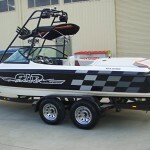 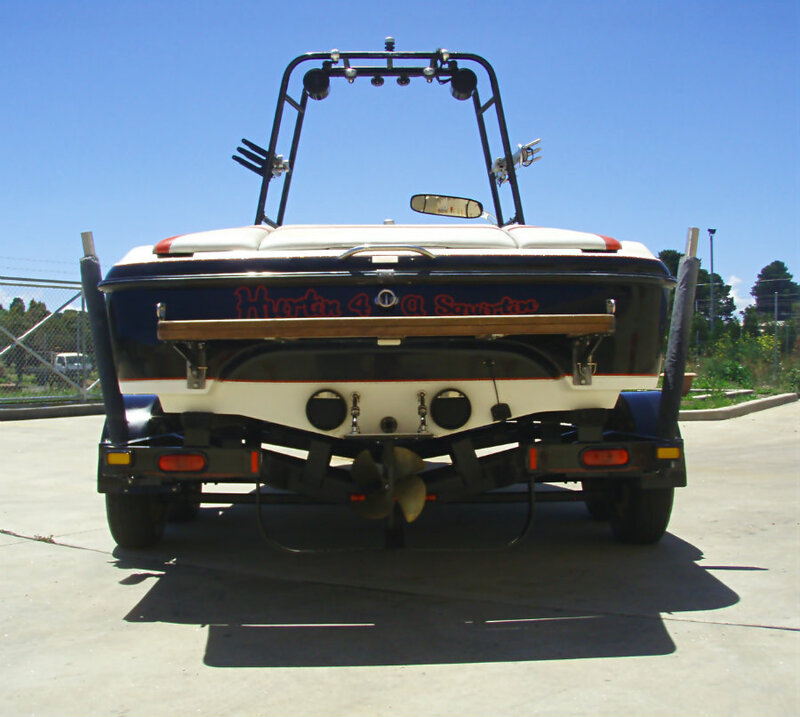 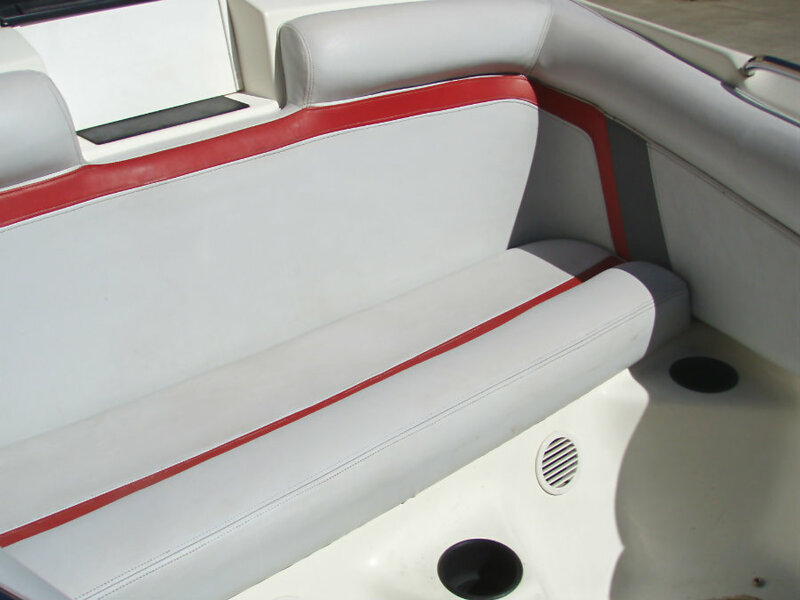 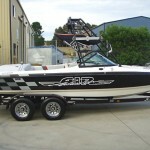 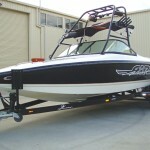 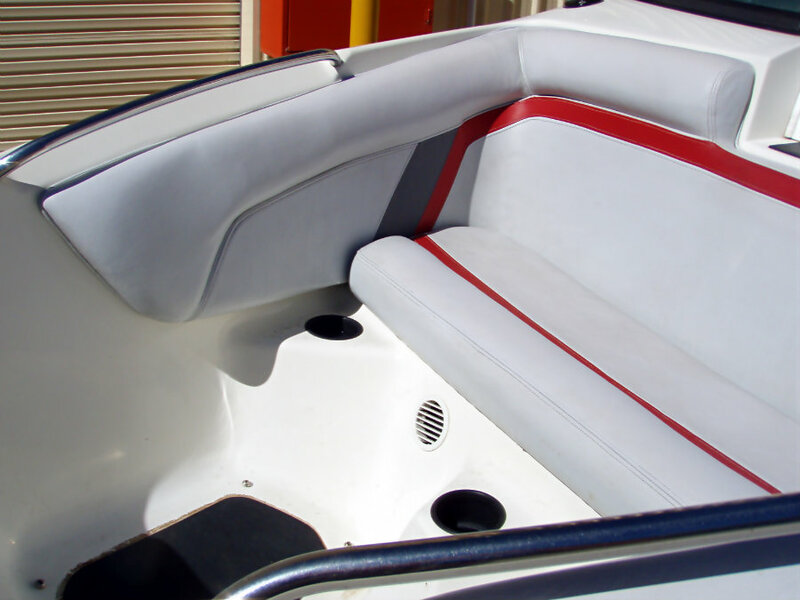 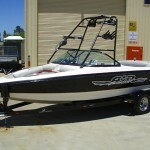 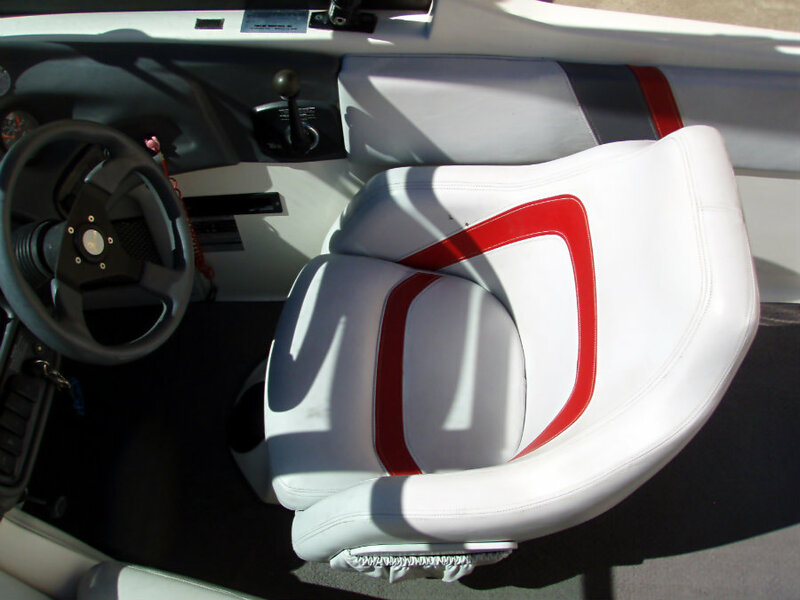 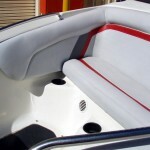 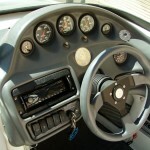 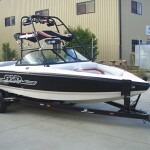 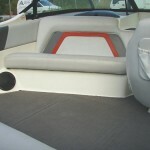 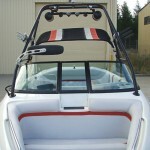 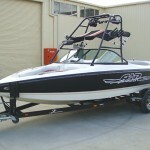 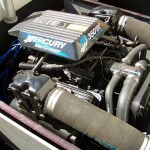 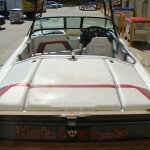 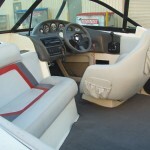 Its primary function is wakeboarding, but it also has a reasonable slalom wake with an empty ballast configuration. 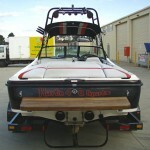 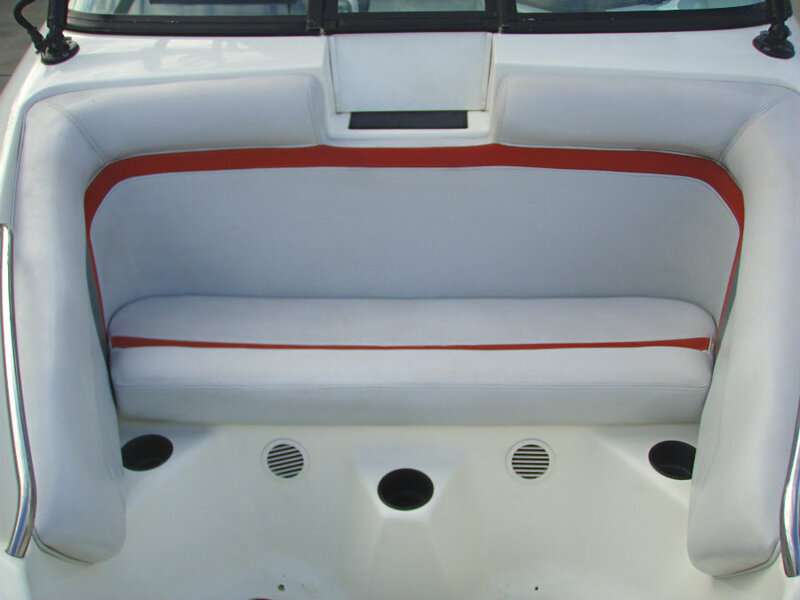 Simply put, this is one of the most versatile boats in the water-ski market. 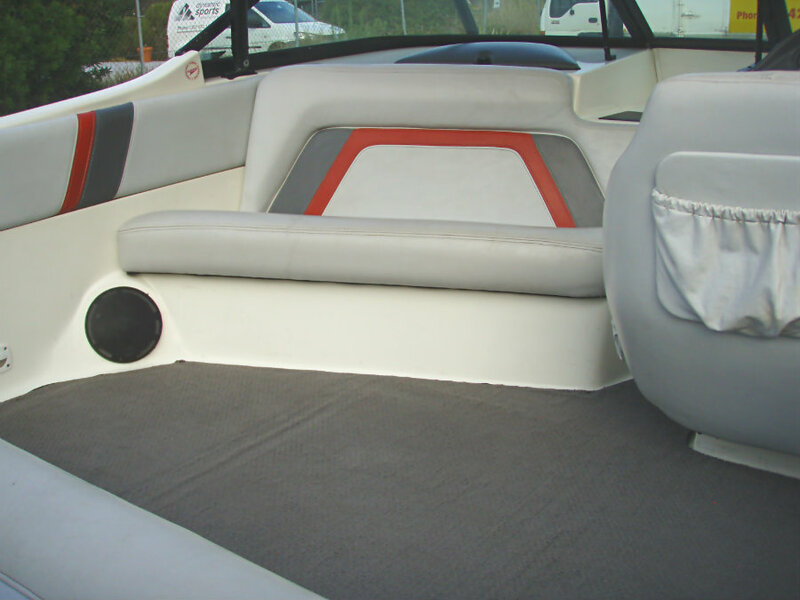 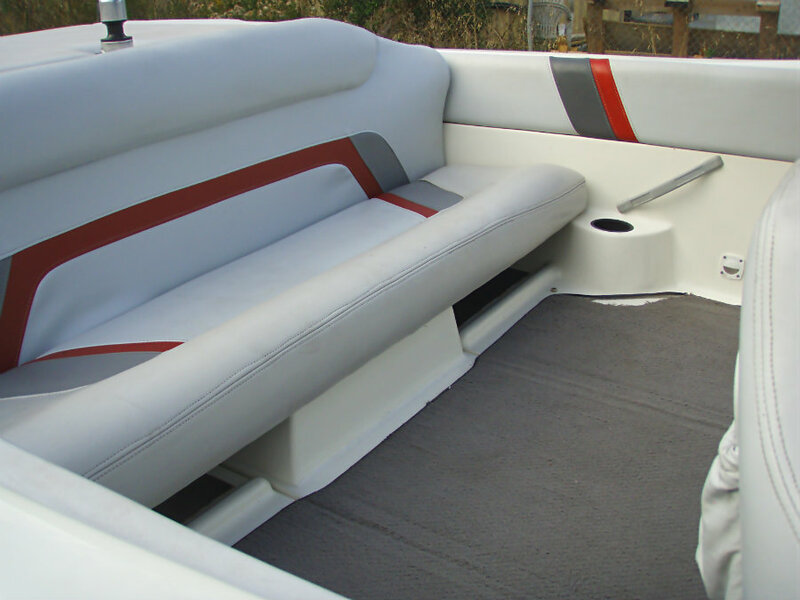 Its modest 152 litre ballast system allows the boat to make a significant transition from slalom-friendly wakes to something serious riders will enjoy. 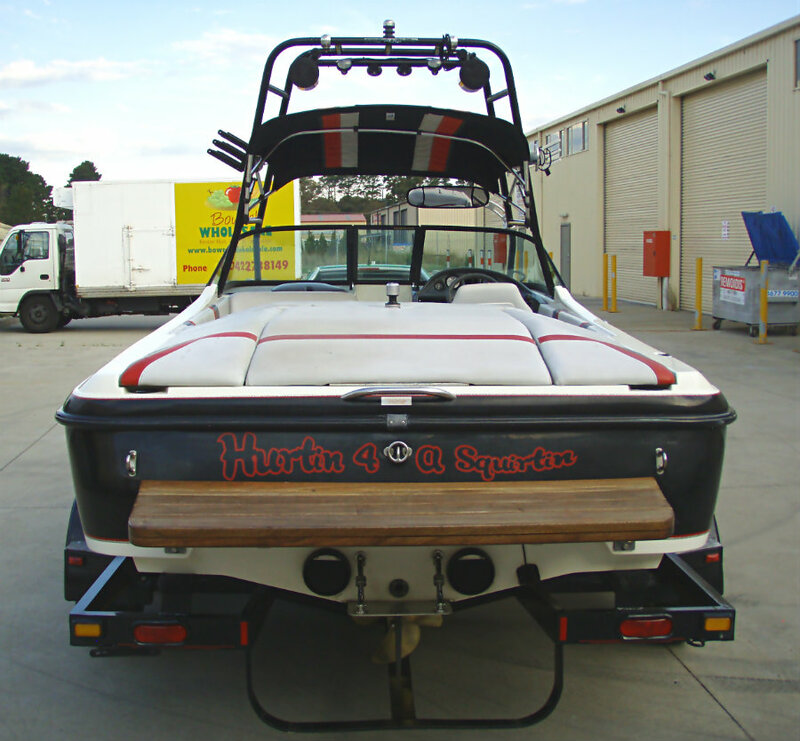 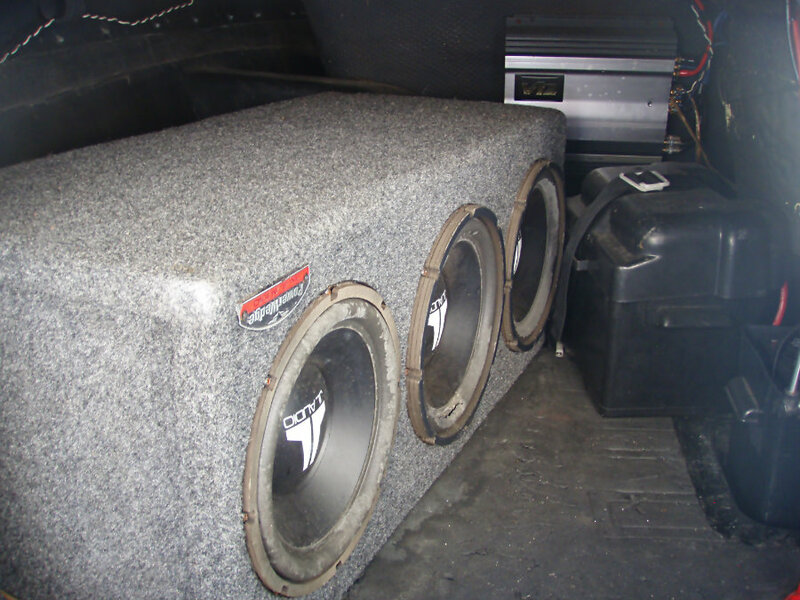 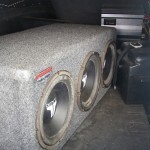 With a few more people or extra fat sacs, this boat comes close to providing a world-class wakeboard wake. 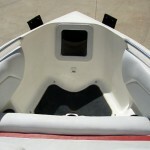 This V-drive has excellent visibility and there’s no bow rise, so you’ll never lose the horizon, even when weighted. 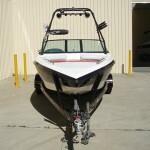 Beyond that, this may be the best-handling V-drive out there. 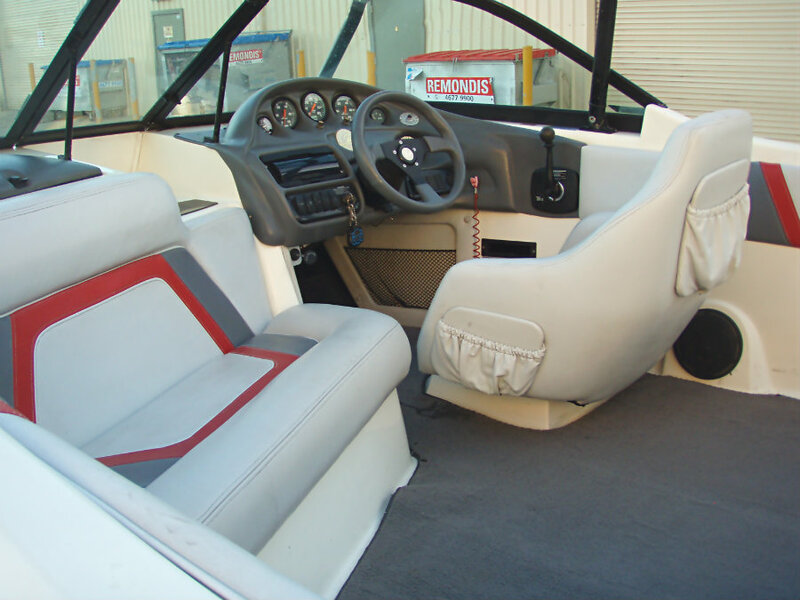 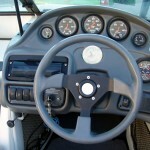 The boat is so remarkably responsive you forget you’re in a V-drive. 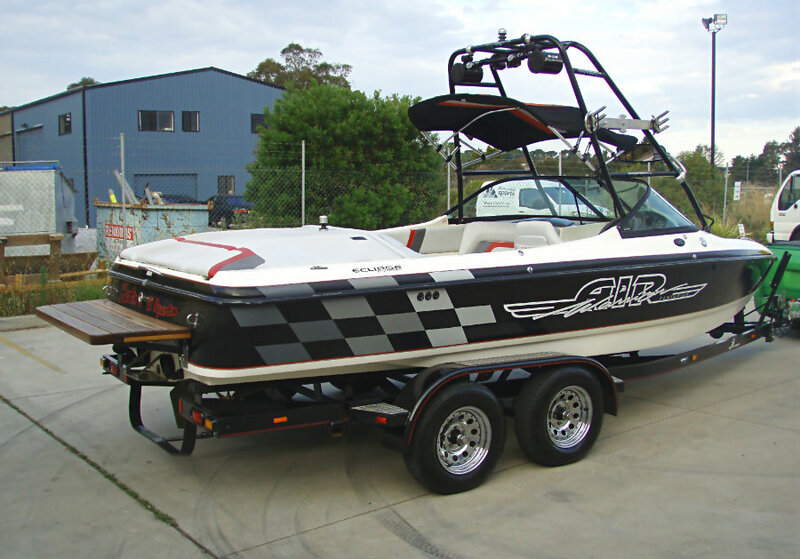 Summary : It’s a tremendous wakeboarding boat and an unbeatable V-drive slalom machine which is in very good condition both mechanically and cosmetically.